I know I normally write about food but today it's flowers for a change! My lovely friend Jen bought me a bunch of flowers for my birthday. 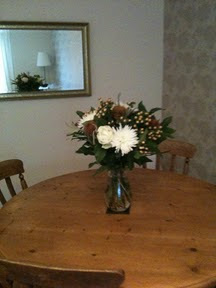 They are full of berries and autumnal colours and look wonderful on my dining room table!